Budget 2018 has re-introduced the long-term capital gain tax on equity shares and equity mutual funds. Almost all financial blogs and portals has published at least one article on this topic (including relakhs.com). This Budget 2018 LTCG Tax proposal will be implemented from 01-April-2018. In this post, I am not going to discuss about the pros & cons of levying tax on your Equity investments. As it is going to be a rule and we need to abide to it, if making investments in Equity mutual funds / stocks. 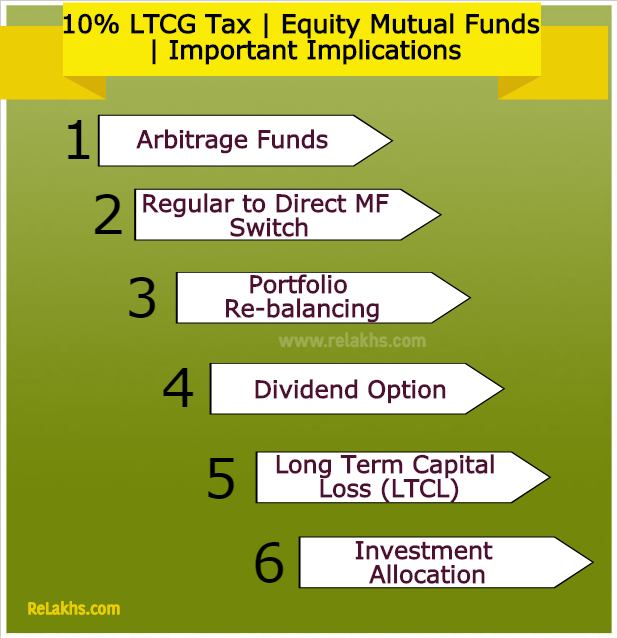 So, let me list out the possible implications of this LTCG tax proposal and some of the important factors that you, as a mutual fund investor, have to to keep in mind…. I have been suggesting Arbitrage funds to my blog readers as one of the savings option for building an Emergency fund(EF). These funds are similar to say a Liquid Debt Fund in terms of Returns and is like an Equity fund with respect to Tax implications. As per the current tax laws, the LTCG on equity funds are tax-exempt. So, same is the case with Arbitrage funds. However, if the new LTCG tax proposal gets implemented, the returns on Arbitrage funds are also subject to 10% LTCG tax. Normally the returns on Arbitrage funds can be in the range of 5 to 7% pa. Thanks to 10% tax, we have to expect a much a lower returns range henceforth. So, kindly keep this in mind. The LTCG (minimum one year holding period) on Arbitrage funds will fall under 10% tax slab without indexation. 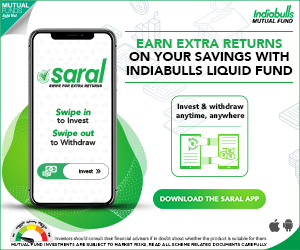 The Liquid Debt funds (another savings option for EF) falls under 20% tax slab (3 year holding period) with indexation. There is no doubt that the returns from Direct mutual funds are higher than Regular plans of MF schemes. In case, you have been planning for the switch, do watch out for tax implications on LTCG, as switching from a regular plan to direct plan are considered as normal redemption. The dividend received in the hands of unit holder for an equity mutual fund is completely tax free. The dividend is also tax free to the mutual fund house. You will now roughly get 10 % less dividend as compared to what you were getting earlier. In case, you have opted for dividend plan and are highly dependent on it as a source of income (passive/primary), have to factor-in lower dividend payout henceforth and you may have to look out for other options to fill this income-gap. Dividend option in MF schemes can a bad idea now. Below table has the details on capital loss set-off rules on sale of Stocks, Equity Mutual Fund Schemes. Now that the long-term capital gain on sale of equity funds and listed shares is going to be taxable, you can expect long-term capital losses on the sale of equity shares or equity mutual fund units to set off capital gains. As setting off LTCL is going to be possible, may be this FY end is the right time to analyze your Equity portfolio performance and can do some re-jig, if required. You can come out of non-performing ones and book loses against LTCG (if you have any). The 10% tax will take away certain gains from your hand, so you need re-work your corpus requirements and try increasing your investment allocation (like SIP amount) for your financial goals. Do maintain realistic return expectations from Equity oriented plans. If you have been assuming say 12% from equities in all your calculations, it is now advisable to assume say 10% from Equity funds. Also, give higher priority to proper Asset Allocation. Budget 2018 LTCG 10% tax proposal is a classic example that nothing remains constant. Who knows, the next budget may totally scrap this 10% LTCG tax (or) may even increase it to 20%?? There is absolutely no guarantee! Life has to move on! So, let’s continue investments in Equity mutual funds and/or stocks for now, because, ‘the Best Post Tax instrument is still Equity’ for long-term Financial goals. You may kindly add any other possible implications on the implementation of LTCG Tax (Budget 2018) proposal in the below comments section. Thank you! If one has short term loss from non equity assets in the current financial year and also long term capital gains from equity can one carry forward the short term loss or one has to compulsorily set off against the current years long term gains before carryig forward? Further can one set off part of the short term loss against current years long term gains so that the current years long term gains are reduced to Rs 1 lakhs & thus there is no tax and balance short term loss can be carried forward to be utilized against future years capital gains? Kindly note that Partial set-off and carried forward is not permissible. If one has brought forward losses of earlier years from non-equity products/assets, can they be set-off against long term capital gains from equity share/mf in the current year? If losses cannot be set-off in the same year due to inadequacy of eligible profits, then such losses are carried forward to the next assessment years for adjustment against the eligible profits of that year. To clarify if one has brought forward capital losses from say 2014 (obviously from non-equity mfs) that are still unabsorbed and hence carried forward since last 4 years can they now be set off in FY2018-19 against capital gains on sale of equity shares? If yes can one only setoff such quantum of brought froward loss so as to reduce the long term capital gain on sale of equity shares in current year to just under Rs 1 lakh so as not to pay any capital gains tax? Dear RP..that becomes partial off-set right?? Related article : How to set-off Capital Losses on Mutual Funds, Stocks, Property, Gold, Bonds & Debentures? Thank you dear Girish for your appreciation! Budget 2018 has now proposed that 10% Dividend Distribution Tax will be levied on Equity oriented mutual funds. As of now, DDT is not payable by AMC (or) MF unit-holder. So, dividend options of MFs may not be that attractive now (or) the dividend payment will be lower to the extent of 10%. Kindly note that is next to impossible to TIME the markets. If you are investing for your long-term goals, kindly do not churn your portfolio frequently based on market volatility. Yes, you can offset STCL with STCG from FY 2018-19 onwards. May I know your investment objective and financial goals? Thanks for the reply. By the insight of LTCG I understood A lot. Once again thanks for information . You may kindly follow it up with the EPFO. Else, you can try submitting new request online. Very nice article. What about STP from equity fund to other equity fund? Does same LTCG will be applied for STP? STPs are also treated as normal redemptions. So, depending the holding period, taxes are payable on STCG/LTCG. Hi… Sree, very informative article. Thank you. Do the returns from ELSS fund also come under LTCG? Dear Dr. Jayesh ..Yes, LTCG tax is applicable on ELSS (tax saving mutual fund schemes) as well. So this means that the whole exercise of saving tax through ELSS and also keeping the funds locked in for 3 years is going to be futile. Is it better now to look in other categories of 80CC for saving tax and invest in equity funds which have no lock in period? As such LTCG above 1 lakh will be applicable. I still prefer ELSS to other tax saving options like NPS/ULIPs for my long-term goals + Tax-saving. Having said that there are some Small Finance banks such as ESAF, which has come up considerably well and offer upto 9% interest on FD. Would you suggest parking a small amount in it? Also is ESAF Small finance FD safe and secure? How to pick best company FDs? Do you think Arbitrage Funds are less attractive now compared to liquid funds (for Emergency Fund)? Would like to know where would you invest secondary emergency fund in current scenario. Debt funds have the advantage of taking indexation benefit (long term capital gains). So, Liquid funds can be considered instead of Arbitrage funds. Hi Shri, I have seen article of few websites where in it is mentioned that investor have to pay 10% of distributed income received from equity mutual funds. Can you clarify this point…This refers to 10 % of LTCG that we are supposed to pay during sale of Mutual fund units. Or this is over and above? You misread wherever you read. Those who opt for Dividend option ,now MFs would deduct 10% on dividends it pays (this is distributed income) ! One personally don’t have to pay anything on this distributed income. This distributed income is different from LTCGs. You have to pay LTCGs @10% whenever you redeem the investment ! Thank you dear Bharat for sharing your thoughts and answering the readers’ queries. Thanks Bharat. So, after paying 10% (by the fund house), we again have to pay LTCG when we perform redemption (if total revenue crosses 1 lakh)? If this is the case, for dividend option, we are paying twice. – Once by fund house (10% of distributed income). This would reduce the dividend paid by fund house. If my understanding is correct, then dividend MF are of no use now. Please confirm if the dividend income is still tax free? this i think should not be considered while calculating LTCG? 1 – Yes, taxes are paid twice on Dividend options, hence advisable to ignore them. 2 – Dividend income is tax-free in the hands of unit-holders up to Rs 10 Lakh p.a. Dear Vikash..Kindly read : What are Index Funds? ETFs Vs Index Funds | Should you invest in them? Dear Sir. As per my understanding, the LTCG and DDT will hit the lower income hard. Let me give example. 1) A 60 yr old person earning 3 L by salary / pension, will pay nothing to the Govt. 2) A 60 yr old person earning 1.5 L by salary / pension and 1.5 L thru equity will pay 5 K to the govt by LTCG. 4) A 60 yr old person earning 1.5 L thru equity and 1.5 L by dividend will pay to govt 5 K by LTCG and 15 K by DDT. Is my understanding correct ? Hopefully this was NOT deliberately intended. Your understanding is correct. But, we have to follow the law of land and no other choice. However, Budget 2018 has some made some good proposals especially for senior citizens. The Interest income earned on Fixed Deposits & Recurring Deposits (Banks / Post office schemes) will be exempt till Rs 50,000 (current limit is up to Rs 10,000). This deduction can be claimed under new Section 80TTB. However, no deductions under existing 80TTA can be claimed (the current limit for FY 2017-18 u/s 80TTA is Rs 10,000). Currently, if interest income on Bank/Post office deposits is more than Rs 10,000, TDS is deducted u/s 194A. Budget 2018-19 has proposed to raise the threshold for deduction of tax at source on interest income for senior citizens from Rs 10,000 to Rs 50,000. The premium paid on health insurance plans by senior citizens of up to Rs 50,000 can be claimed as tax deduction under Section 80D (current limit is Rs 30,000). The limit under section 80DDB has been proposed at Rs 1 lakh towards medical expenses, for treatment of Critical Illnesses. The maximum investment under Pradhan Mantri Vaya Vandana Yojana has been increased to Rs 15 Lakh. Will it be deducted and proceedings will be credited to my account ? In case of multiple MF redemption in a single FY how this will be treated ? MFs will not deduct any amount. They will credit 1,10,000 to your account. You have to pay taxes on 10000 gains in your returns ! In case of Multiple MF redemption , you have to calculate LTCGs from all and then pay the tax on total gains after deducting 1 lakh ! Thanks for your reply. What if in case of NRI investors who don’t file returns. How LTCG tax is applicable to them? TDS is applicable on NRI MF Investments. An NRI has to file taxes If he/she has earned capital gains (short term/long term) from sale of any investments (like shares,property,mutual funds etc.,). 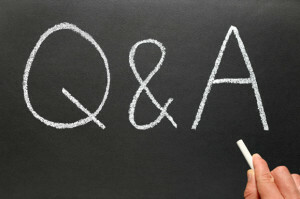 One final query – say the gain of an NRI investor in a single FY is just Rs. 50,000 from equity investments. Still he needs to file income tax or is there any minimum limit for the same ? If capital gains from selling an asset is your only income in a financial year and TDS has been deducted on that, then you are not required to file your income tax return for that year. However, my take is, advisable to file ITR. I have invested in few MF’s with Dividend Re-investment option. In this case, how the tax treatment will be? Dividend distributed by Equity Mutual Funds in their dividend payout and dividend reinvestment options will also be taxed (DDT) at 10%. In the case of growth option, the fund will not have to pay the 10% dividend distribution tax. What exactly is LTCL? How is it important? LTCL stands for Long Term Capital Gains. The profit or gain (if any) that you make on your Capital Assets when you redeem or sell them is referred to as Capital Gains. It can be a Short Term Capital Gain (STCG) or a Long Term Capital Gain (LTCG) depending upon the ‘Period of Holding’. The tax that is applicable on these profits/gains is known as ‘Capital Gains Tax’. Similarly, the losses (if any) that you make on your Capital Assets when you redeem or sell them is referred to as Capital losses. It can be a Short Term Capital Loss (STCL) or a Long Term Capital Loss (LTCL) depending upon the ‘Period of Holding’. If a financial asset is held for more than 12 months then that asset is treated as Long Term Capital Asset. And the investor will make either Long Term Capital Gain (or) Long Term Capital Loss on that investment. Hi Sreekanth, thanks for the LTCG insight. * What is the implications of LTCG on NRIs who is investing via NRE accounts ? * To avoid(or reduce) LTCG, there is a general suggestion of yearly “sell off” and “buy back” on same day . How does it work for MF Units ? Say if MF units are bought via monthly SIP and when we sell off, the MF units bought first will be sold ? or the MF Units bought last ? (i.e First In First Out or Last In First Out ). * If possible, can you please publish an article on how LTCG will be calculated on MF with SIP option and how do we reduce LTCG as many will be benefited. 1 – The implications are same as in FY : 10% LTCG tax on Equity funds. Also, TDS is applicable. 2 – If one has time, willingness and can do research/analysis, can go for sell and re-invest. Personally, I will not do that. This can be a challenging task especially if the units are bought in SIPs. 3 – It is First in first out basis.